Hi Case! The best thing I can say about your game is this! I started playing with a keyboard, and got stuck in the final part. 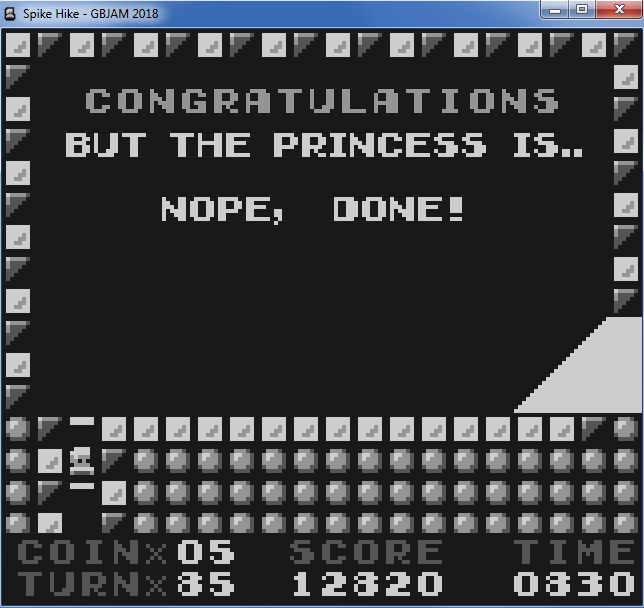 Then I tried with a pad and finally :D.
I'll try another run for sure, trying to collect all coins! The music was nice. I'm easily "annoyed" when a simple melody is repeated over and over, but you have combined perfectly the up and downs, changing melodies and intensity, so every time the song is repeated, it feels fresh! Also, the style of the song fits perfectly with the genre. The level dessign was awesome. Seriously. And the difficulty curve was perfect. The art was simple but effective. I specially liked the animations of the player and the variety of platforms. And the controls/feel is awesome. I still have to play a lot of games, but at the moment, is one of my favourites of the jam. Specially in terms of fun! Sorry, I talk a lot. Thanks Suzuka, that's some lovely feedback!